Are you old enough to remember who this is and what movie this frame is taken from? 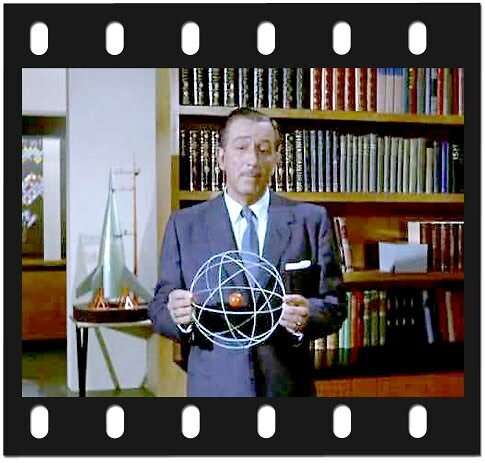 Of course you recognize Walt Disney and you remember this frame from the opening scene of "Our Friend the Atom," released in 1957. I remember this very well, because the film was shown at a general assembly we had in Junior High. The film was presented by a fellow from the Atomic Energy Commission. And following the film, I introduced myself to the gentleman, and invited him to dinner at our house. Later, when I had the chance, I called Mom to let her know we were having a special guest for dinner! Like most of my peer group, I was totally excited about the possibilities from "Our Friend, the Atom." While the "media" is all jammed up with the republican presidential "Court Jester-of-the- Day" shenanigans, the Missouri River relentlessly continues to threaten citizens and infrastructure. Status: Shut down since April for "maintenance." While plant operators display the "happy face smile," they know that the public is not in a "trust me mood," given the recent experience at the Fukushima Nuclear Power Plant in Japan. As you recall the plant operator, Tokyo Electric Power Company (Tepco) and the Japanese government's sharing of critical information with the public alternated between incomplete, confusing, and contradictory. Moreover, the emergency is on going! Cooper Nuclear Station is the same design, Boiling Water Reactor (BWR), and commissioned the same year, 1974, as Fukushima. And, the British Navy is replacing the BWR type reactors in future submarine construction. Notification of Unusual Event - Under this category, events are in process or have occurred that indicate a potential decline in the level of safety of the plant. No release of radioactive material requiring offsite response or monitoring is expected at that time. Alert - If an alert is declared, events are in process or have occurred that involve an actual or potentially substantial decline in the level of plant safety. 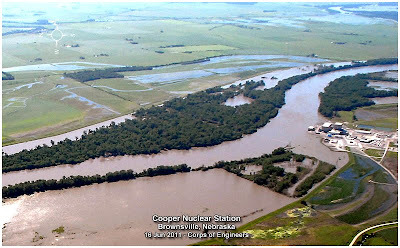 However, any release of radioactive material is expected to be only a small fraction of the Environmental Protection Agency (EPA) protective action guidelines. Site Area Emergency - A site area emergency involves events in progress or which have occurred that result in an actual or likely a major failure of the plant's ability to protect the public. 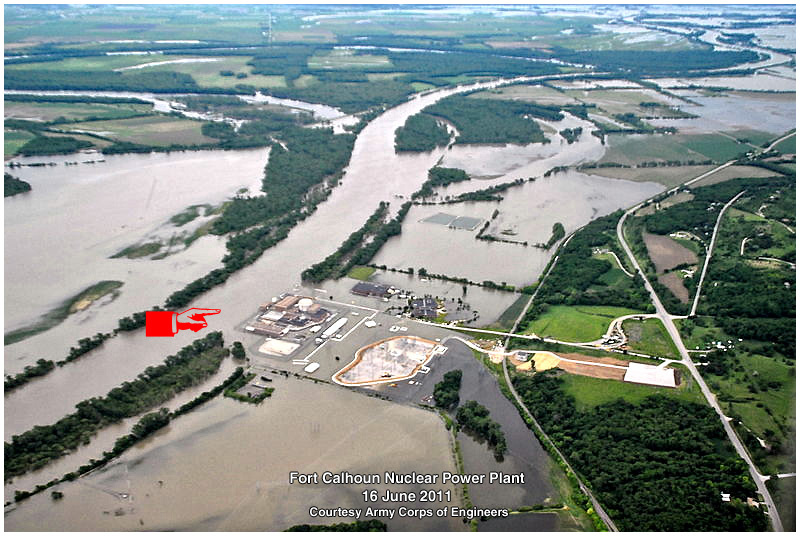 Any releases of radioactive material are not expected to exceed the EPA guidelines except near the site boundary. 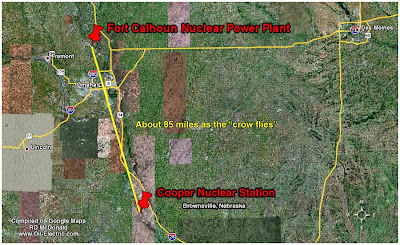 The Nuclear Regulatory Commission has requested "no fly zones" over both plants, citing "the possibility of news planes colliding with each other." This story is still evolving. Remember, these record flood levels are projected to continue into August! Flood control structures are going to be under considerable stress for several weeks. 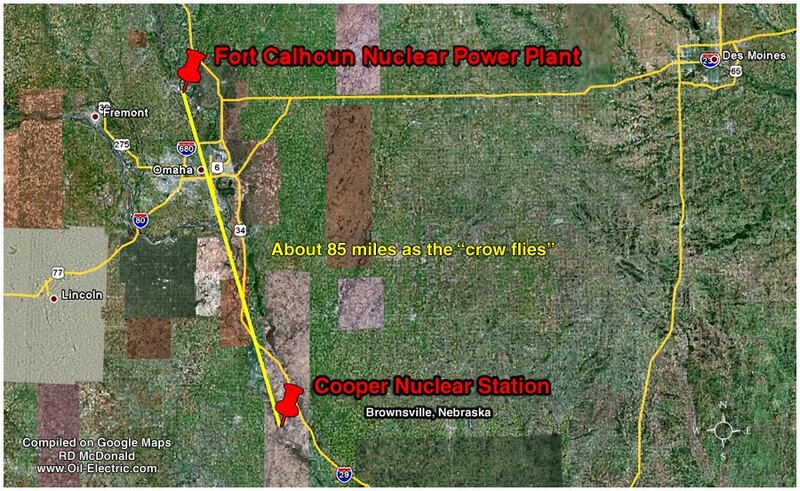 Do you know where your nearest Nuclear Power Plant is located? The NRC stores a wealth of information on a plant near you! The Physicians for Social Responsibility has an interesting web site, wherein you can generate maps showing danger zones surrounding nuclear facilities. 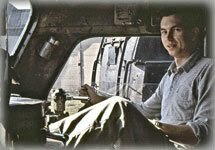 If you live near one, you may find interesting information on this site. "Our friend the atom" is just a little bit less friendly these days it seems. How times they do change.